1. Lost, Found & Now? 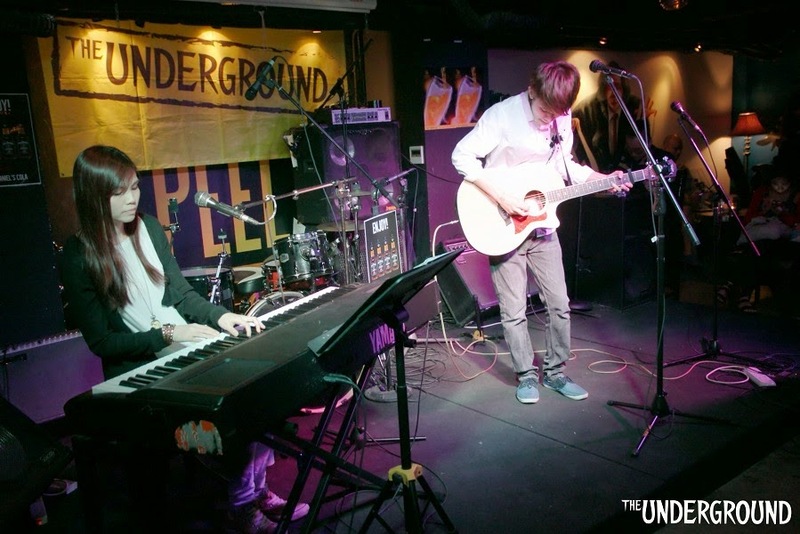 Per Se is pop rock band consisting of Stephen Mok on guitar and Sandy Ip on the keyboard. Per Se blew me away with the fullness of their music from the very beginning of their set. I really liked the combination of the keys, guitar and vocals. In their first song, “Lost, Found & Now” Stephen sang while he strummed along with his guitar. His voice sounded similar to Billie Joe Armstrong from Green Day, not when he is screaming. The whispering kind of singing that is soft and gentle. Sandy’s backing vocals complimented Stephen quite well. It was evident the crowd liked them as there was a big applause at the end of the song. “unSWEET, deadBEAT” started with some impressive guitar picking and was soon followed by the keys. I started to think this was going to be an instrumental song as it took awhile before I heard anyone sang. When Stephen did start singing again a friend told me that his voice sounded more like Billy Corgan from The Smashing Pumpkins. This guy has good taste. It was whiney, yet sweet. In the third song, “The envelope line” Sandy was the lead vocalist and then Stephen started to sing while playing their instruments. They began to have what was like a sung dialogue. I couldn’t work out exactly what they were talking about, but I really liked how the duet sang together. The chorus was even better when their two voices melded into one to create a perfect harmony that was pleasing to the ear. I am lost. He said his thanks to the Underground as he introduced their final song. The dynamics of the keys to guitar in this song were really good. It was also another song where the duo traded verses with each other. The song finished with a wonderful crescendo and they left the stage, setting the bar really high for the remaining bands. The night was only just starting.